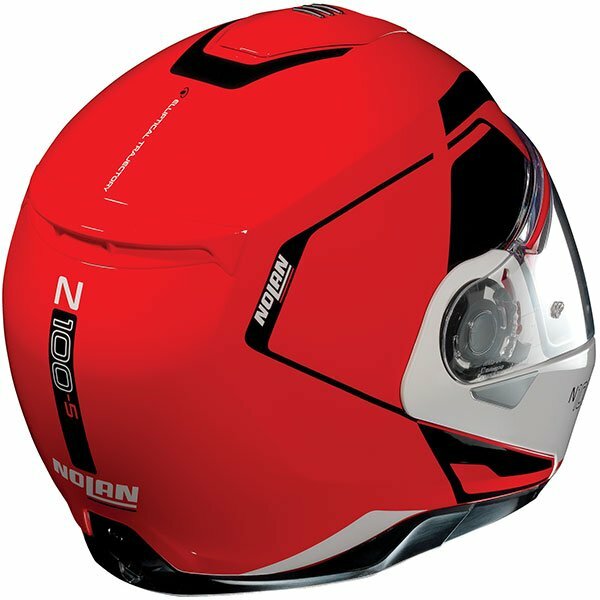 Nolan's top of the range flip-up helmet characterised by its elegant design, many technical features and compact size. Featuring dual homologation meaning you can ride with the helmet in either open or closed position. The N100-5 also features an ultra wide viewport, internal sun visor fitted with automatic retraction system and innovative Clima Comfort lining making it the perfect fit for the most demanding tour rider. 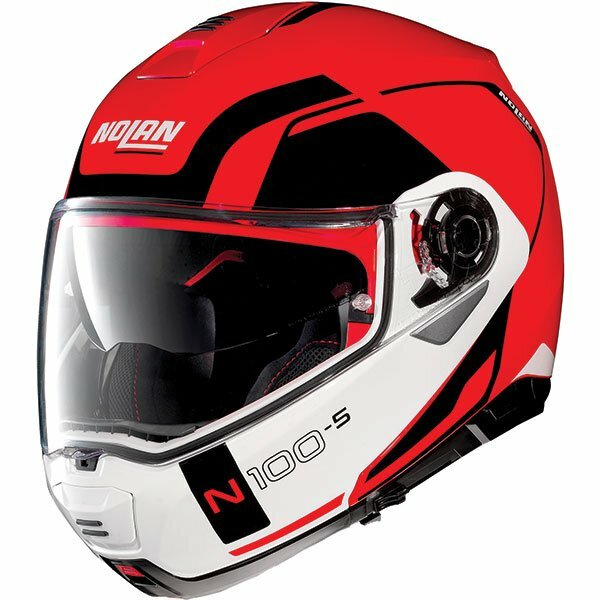 Does the Nolan N100-5 come with a pinlock? A Pinned insert is included with the Nolan N100-5 Consistency N-Com - Corsa Red Helmet.